What are the available cap styles? 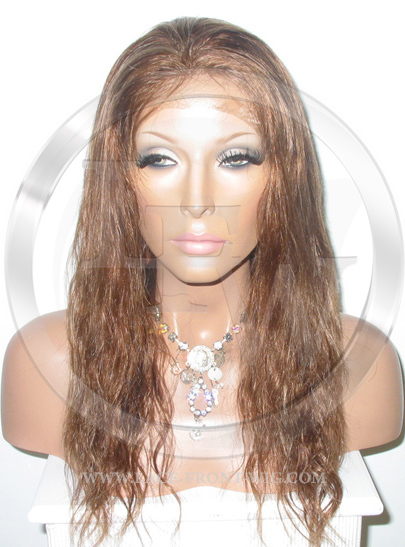 We offer serveral different cap styles for our in stock and custom lace wigs. View our available cap styles and descriptions below. 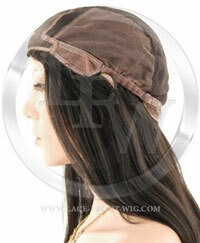 This is one our most popular and natural looking cap styles. This cap style allows you to wear your hair in updos and high ponytails as it has lace all around the perimeter. The cap will also stretch to fit your head so sizing usually dosen't matter. This cap style is the most affordable and will fit anyone. 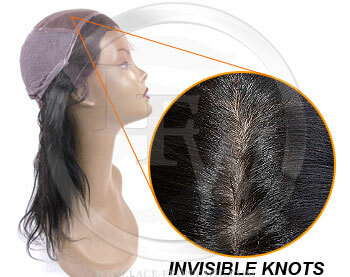 It's made with a french lace front and durable stretch lace in the back. Adjustable straps are added to provide a secure fit. 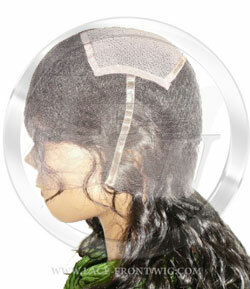 If you are new to lace wigs or are looking for a more affordable daily solution - This style cap is recommended. 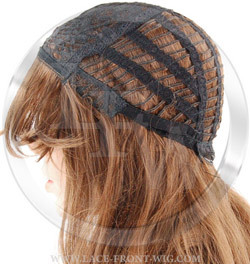 This lace cap is composed with a lace front around the front hairline and stretch integration throughout the back. 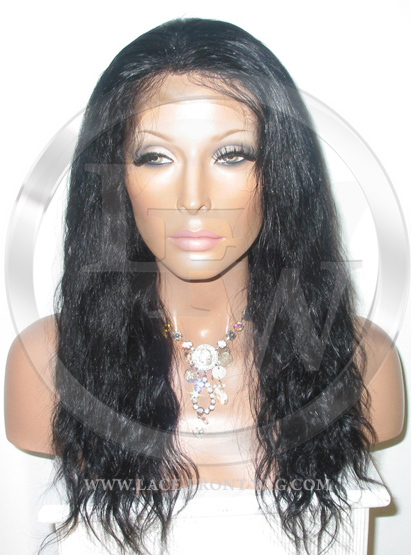 The hair is synthetic high grade fibers, therefore its the most affordable NON-HUMAN hair lace front wig we make. This cap style is perfect if you are wearing short cuts that come into the face or cuts with bangs. 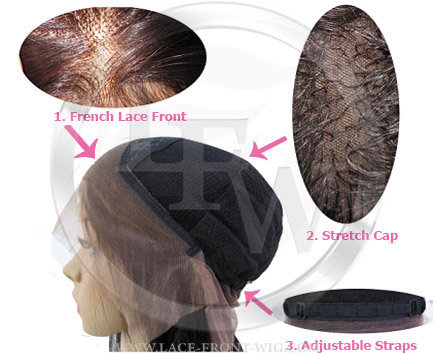 All of the hairs are handtied into the cap and it can be parted anywhere throughout the wig. This cap style does not allow you to wear your hair in High updos and High ponytails.Knots to make your part look even more natural. No stocking cap needed!